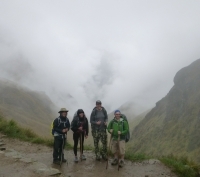 Home » Inca Trail Stories » Will you survive the Inca Trail ? 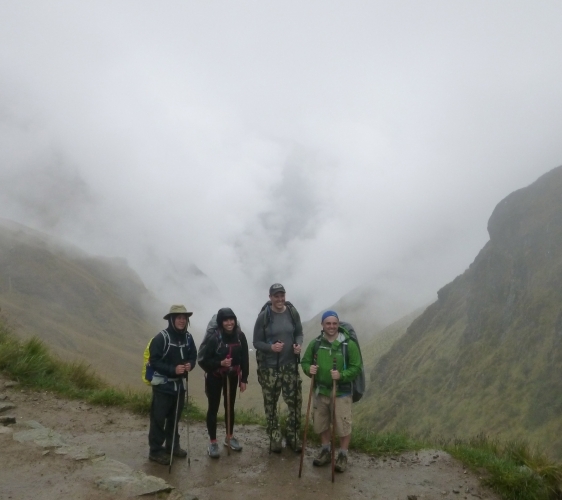 Inca Trail is one of those things that you do once in your lifetime... It is 10 times more difficult than what you think it is. If you are not in shape, do not do it ! You will be climbing a million of rock stairs from 500 years ago. They are hard and steep ! I thought going up was a torture, I was looking forward for the going down, I thought it was going to be a piece of cake... I was wrong. I do not know which one is more difficult ! The altitude does not help. I definitely recommend you to do it in the dry season I went on the raining season and it rain the second day which was the hardest, think about 45 degrees plus sets of stairs wet and slippery carrying a backpack. It was hard ! However, the guides were great, they were all making sure that we had what we need it. The worst part was the bathrooms. Think about gross and it is worst than what you think, take hand sanitizer and soap to wash your hands for sure. You will not be able to shower, take some baby wipes or something similar that will be your shower. The food was great we thought we were going to be hungry but the guys for sure did a great job to make sure we were full. Very nice people. 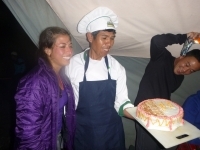 5 stars to the porters they really do an amazing job ! 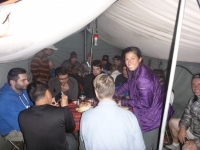 Overall if you really like nature and adventures go for it but make sure you train for it. If you think you have trained enough train some more ! Good luck.